Before arriving at Kruger we read that animal sightings are never guaranteed and that some people have visited the park and left without seeing anything. Either these people are not including elephants in "anything", or they are blind. We actually had to actively go out of our way to avoid elephants. Our first sighting was a lone elephant tearing down a tree as a snack - less than 50 feet from the road. 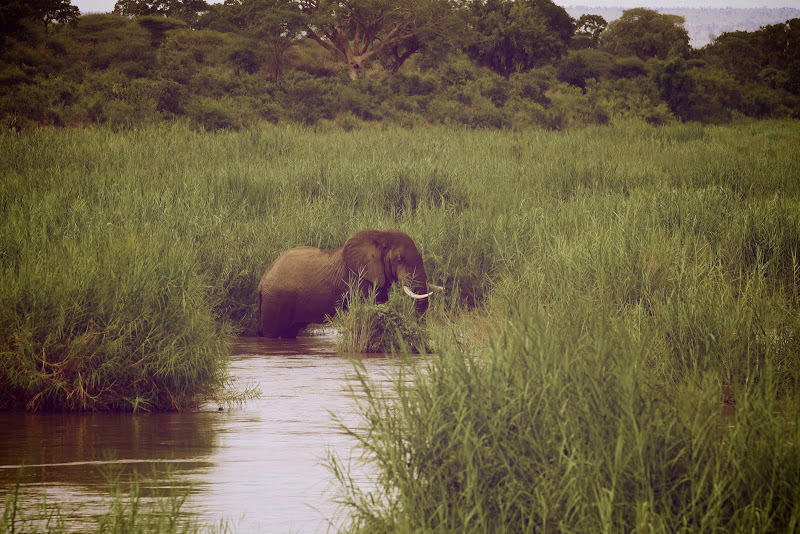 As we continued on we saw elephants much closer and also further away. None of them seemed to care about us. 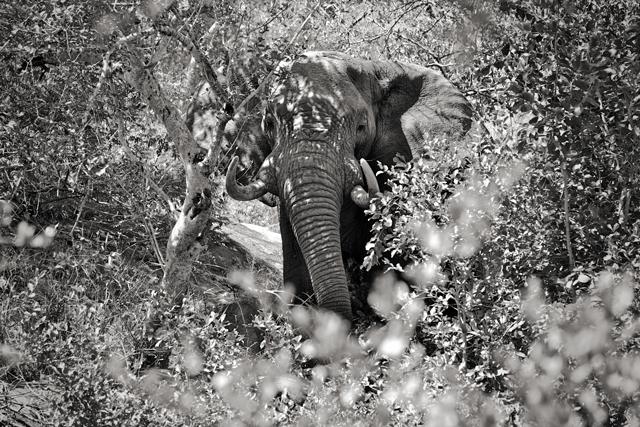 Our luck ran out later in the week when we approached a group of elephants feeding near the side of the road. As usual, we kept a respectable distance and avoiding making any noise. As we were taking photos we both suddenly got a very uncomfortable feeling from the closest elephant. We had read some Kruger self-drive tips before we left that mentioned keeping the car in gear in case you needed to make a quick getaway. This tip came in handy, as the elephant began to charge the car. Mina was hit by debris/mud flicked from it's trunk as I sped off down the road. 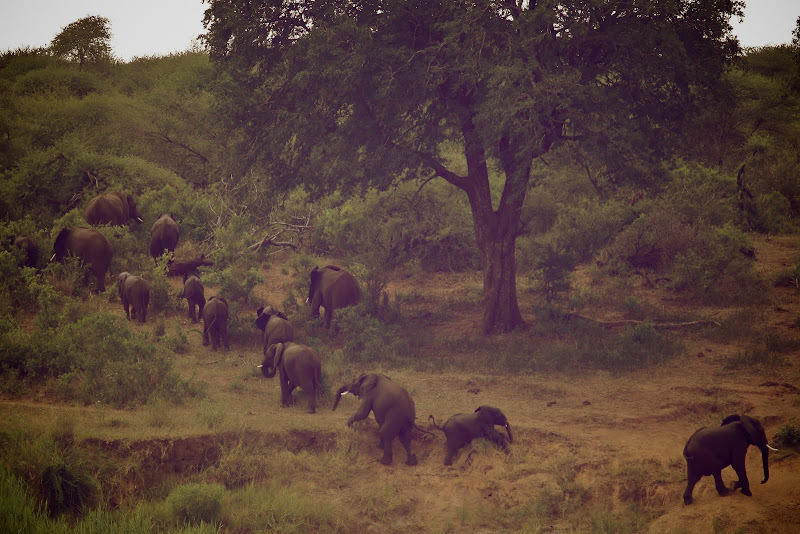 The experience left us slightly rattled, and definitely made us more cautious around the elephants going forward. 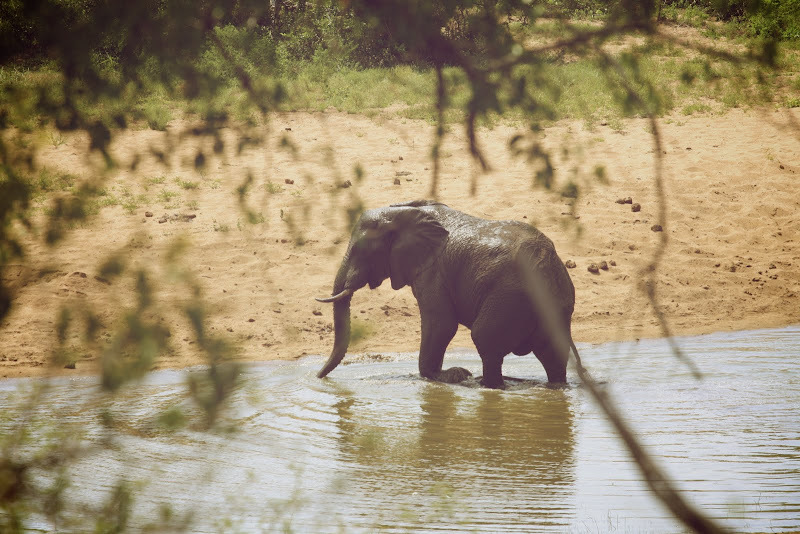 Despite these experiences, it was awesome to see the elephants in their natural habitat, bathing in the river alongside herds of antelope, feeding with their young, and trumpeting their trunks (not towards us, thankfully). wow, those are gorgeous photos. Ha, imagine being chased by an elephant... :P It must have been kinda of scary wasn't it? wow... that's incredible. i would love to see that!! Words cannot describe how jealous I am! Minus the charging elephant. That is just an amazing experience. what incredible creatures. They are mezmerizing. I can't believe your experience in the park! crazy. Lovely pictures, as always! We had the same experience...we were just in Ngala (borders Kruger), and the first animals we ran into blocking us on the road were a herd of elephants. So amazing! That is sooooo amazing! What great pictures! Aaaaaaaaaahhh love these pics!!! So so pretty! I met elephants on a jungle trip in Thailand where they had an elephant school and they even tought them to play soccer :)... we also climed on them and went on a jungle tour. OK it was much more authentic than as it sounds now but I'd love to see them in Africa too! so cool! Elephants are so beautiful. And scary! Glad you guys made it out ok :) Definitely an animal that needs to be respected. I love all your elephant pics. 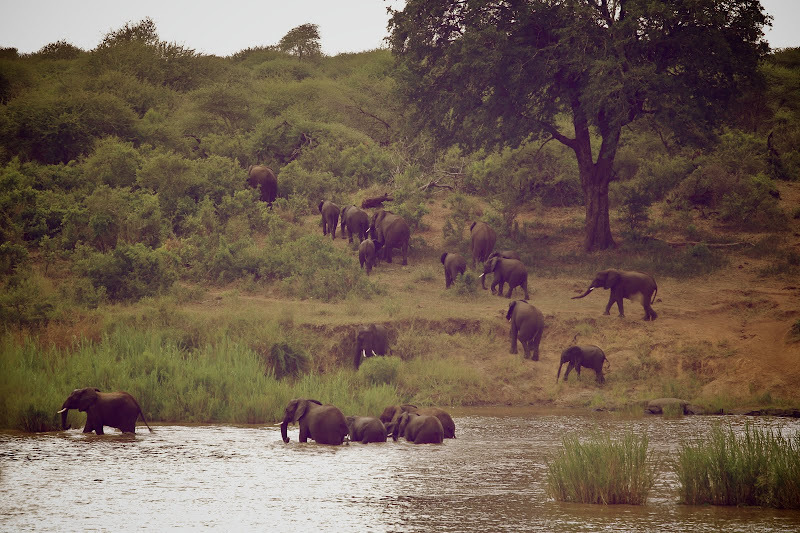 Brings back memories of this spring in Kruger where I saw So many animals. Yet didn't have any scares like you. She was my personal guide and actually worked at Kruger for 23 years. If you're not already reading her blog you should be. This is so cool. I would love to see elephants in their natural habitat. What wonderful experiences Mina and Alex. Thanks you for visiting my blog today and Gaelyn is right, anytime I can help with identification or any questions, please do not hesitate to ask. Wow, these are great photographs. I hope you're having fun. Aren't they amazing? Reminds me of the elephant camp we visited in Thailand. love it. Great photos! Just found your blog, and I'm in love! :) Can't wait to see where else you both go! I can see why being charged by an elephant would be scary experience...but freakin' cool nonetheless!! Great shots! It's amazing that you were able to get so close! 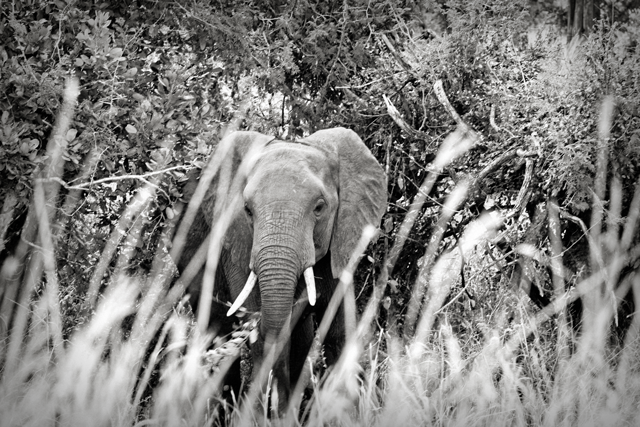 GREAT photos of the elephants! 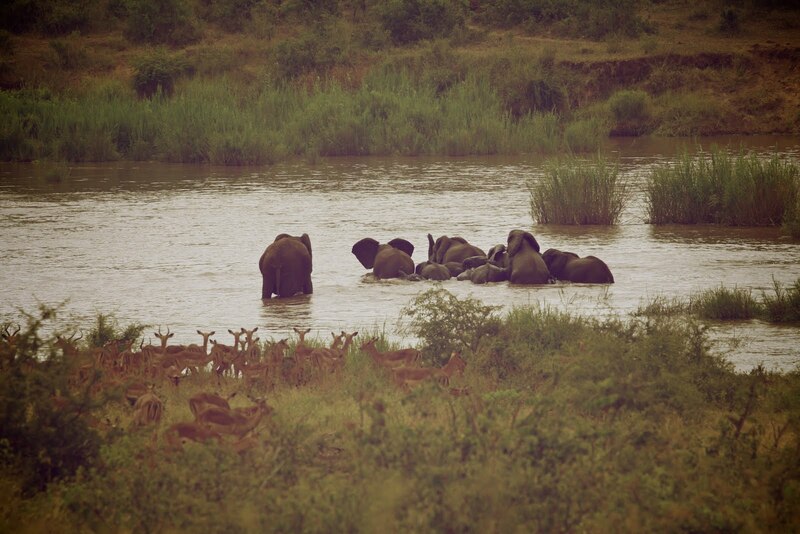 I loved watching the baby elephants bathe at watering holes. So amazing. 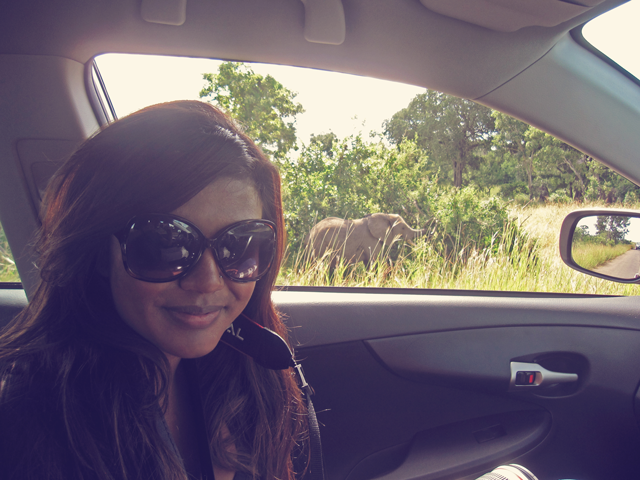 We were chased by elephants on foot, on horseback and in the car! They get so territorial! just curious...what zoom length are you using to capture these images? just need some camera / lens recommendations for when it's our time to go to safari. LOL! i hear people say to have 200-300mm lens. that may be out of my budget...for now, at least. i guess mommy elephant recognized your car? Haha, it was definitely stalking you! simply magnificent creatures - what beautiful photos you captured! I have to admit I love Elephants. Most definitely my favorite land animal. Something about the quiet confidence and compassion I see in their faces. So jealous but so glad you shared the photos. those pictures are absolutely amazing. so beautiful. aside from the imminent danger, of course. I was simply blown away by these pictures. Looking at them over and over. What a story you have to share! I’m so jealous. I need to get out. There is so much to see and learn.